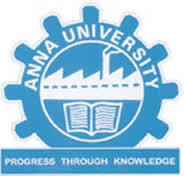 Applications are invited for one position of Junior Research Fellow at the Centre for Biotechnology, Anna University, Chennai-25 for Department of Science and Technology, Government of India,International Division (UKIERI) sponsored ongoing project on “The effects of micro-environnmental stress on the regenerative activity of mesenchymal stem cells” sanctioned to Dr.C.D.Anuradha. ELIGIBILITY: JRF: First class M.Tech/ M.Sc (with NET/SLET) /M.Pharm/ M.S (by research) degree in Biotechnology / Biochemistry / Molecular Biology Research experience in Stem cell Biology and work experience in molecular biology techniques is desirable. Emoluments per month are Rs.16,000/- ( plus 4800 HRA) for two years . Applications stating Date of Birth, Qualification, Experience, publication list and Postal address with email and phone numbers along with respective certificates should reach the undersigned through post on or before March 30th 2015. Eligible candidates will be called for interview at Centre for Biotechnology, Anna University, Chennai – 25. Interview date and time will be informed through post or e-mail. Candidates appearing for interview should bring all original certificates in support of his/her qualifications. Candidate will have to appear for the interview at their own cost. Dr.C.D.Anuradha Associate Professor, Centre for Biotechnology, A.C.Tech., Anna University, Chennai-600 025.